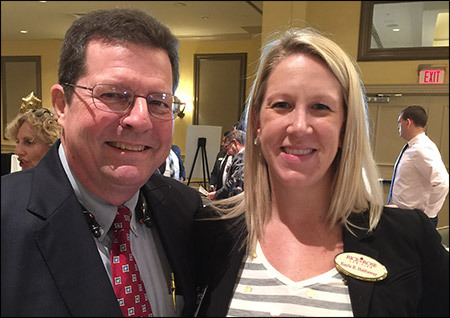 Associate Attorney Kayla Hathaway and attorney Jim Rose of Rice and Rose Law Firm in Daytona Beach attended the annual Daytona Beach Chamber of Commerce Awards Luncheon. The event was held at the Shores Resort on November 2, 2016, and honors local businesses and community members for contributions to our local economy. Rice and Rose Law Firm was honored in this year's program for 30 years of providing excellent legal services to Daytona Beach and surrounding areas.